Pumpkin is a nutrition powerhouse for your dog. Pumpkin flesh and seeds are loaded with beta-carotene, vitamin A, iron, potassium, magnesium, manganese, copper, and zinc. They also contain antioxidants, which prevent cancers from forming and help your pet stay healthy and young. Pumpkin can support regular digestion, and essential fatty acids in pumpkin seeds help moisturize your pet’s skin and fur from the inside. 1. In a large saucepan over high heat, combine the pumpkin puree, water, milk, salt, and cinnamon. Bring to a boil. 2. Add the oatmeal. Turn down the heat and cook according to your oatmeal instructions; this usually takes about 15 minutes. Stir often. 3. Meanwhile, in a small cast iron skillet over medium heat, toast the pumpkin seeds until they’re fragrant and a gentle golden brown, about 10 minutes. 4. 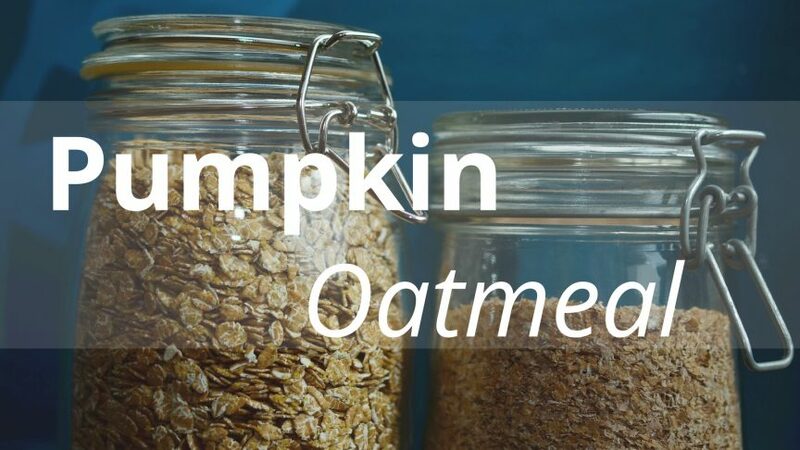 Once the oatmeal is cooked, serve with pumpkin seeds sprinkled on top. Serving Size: 1 cup for Mommas and 1/2 – 1 cup for your pup, depending on size.